Can the Bruins beat the Senators? 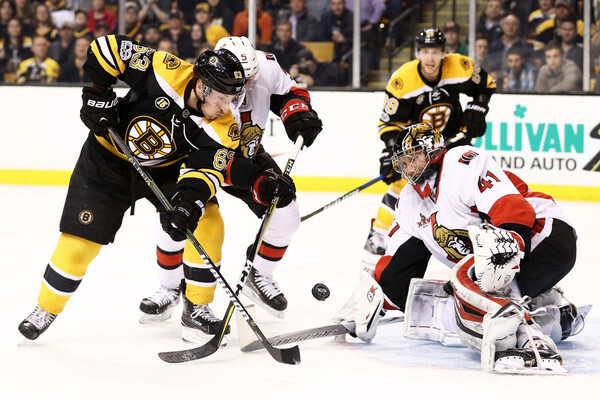 The Bruins clinched the 3rd seed of the Atlantic and will be taking on the Ottawa Senators who clinched the 2nd seed of the Atlantic in the last couple games of the season. These two teams were on a see-saw the last couple months battling for the 2 and 3 seed. Let’s get right down to it and see if the Bruins have enough to hold off a Senators team that has dominated them all year. As simply put, they need to do everything. As cliché as that sounds it is true. In order to win this series against Ottawa they need to do everything they can. The fact that the Senators won all 4 regular season matches is a crucial statement but this is the playoffs, balls to the walls puck will be played. – Bruins are down Carlo and Krug in game 1 due to injuries this is bad news bears because both skaters lead time on ice as of late. Chara will need to step up and be the defensive playmaker with and without the puck. Charlie McAvoy may play game 1 and hopefully it’s a smooth transition that can provide some offense from the blue line. 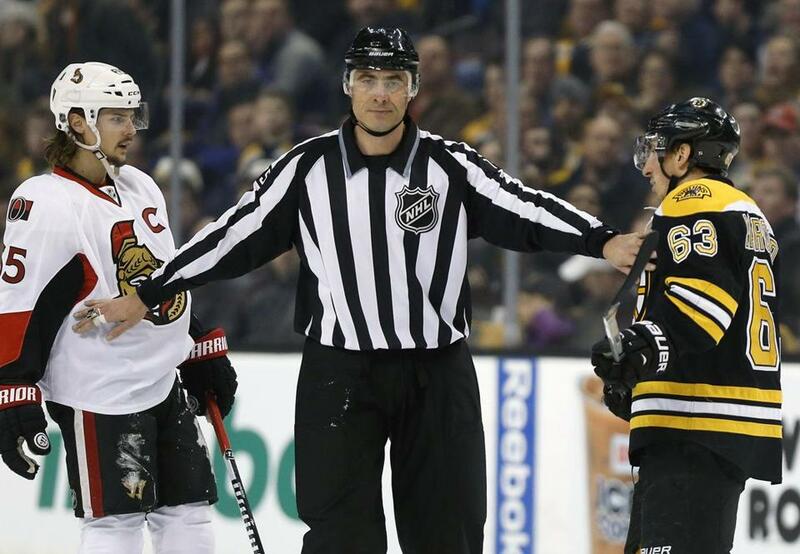 -Can Bruins coaching lead them to a win? I’d say it is definitely a possibility with Bruce Cassidy taking over in February and leading them to a 44-31-7 record overall and third place in the Atlantic Division. However he will certainly have to light the fire under their asses and make sure they’re changing lines at appropriate times and not when the opposing team is coming down the ice on the attack. Too many times that has happened late in the season. -Bruins lost home ice, big whoop. They chose these cards by locking up the 3 seed now they need to deal with it and win the first 2 road games and come back to Boston and win. – Avoid the instigators. The senators are definitely going to try and get under their skin. Will this affect them? The Boston Bruins are the best penalty-killing team in the NHL at 85.7 percent but I wouldn’t rely on this stat line to help save them from the shorthanded goals, stay out of the box for this series and get the early goals. – Bruins need to shut down the guys that have been killing them. Erik Karlsson and Kyle Turris are by far their standout players this year and they are bruin hunters. Bruins need to have their head on a swivel when their on the ice. Karlsson has 0 goals against this Bruins team but has 4 assists. Kyle Turris had 3 goals against the club out of 27 overall for the year and Alex Burrows is out for revenge against a bruin’s team that took away his 2011 Stanley cup. Burrows had 15 for the year and 2 against Boston. Watch these three in particular and disrupt the scoring chances. -Shoot the goddamn puck. Craig Anderson 25-11-4, .926 save percentage this year is a wall. He is definitely out to steal games in the playoffs. He has unreal playoff stats as well .933 save percentage and 2.35 goals-against average. Bruins need to shoot and capitalize on all and any scoring chances especially earlier on. Anderson played all 4 games against the Bruins and only let up 6 total goals and averaged 28 saves on the Bruins from all 4 games. He will definitely be the reason the Senators win a couple of these games. If the Bruins manage to come out and play the puck they need to and capitalize on these factors I mentioned I think they will win in 6 games at Home. They might drop the first game but don’t count them out, hopefully Krug and Carlo will be back for game 2.